Elizabeth is a dedicated osteopath who practices osteopathy and cranial osteopathy in London. Elizabeth completed PGDip in Women's Health in Osteopathy in 2017. Elizabeth is passionate about helping women of all ages attain optimal health. Osteopathy is suitable for pregnant women and can help relieve aches and pains that can often be present during pregnancy. Elizabeth studied at the British School of Osteopathy, graduating with a Masters Degree in Osteopathy. She is a member of the British Osteopathic Association and is registered with the General Osteopathic Council. She frequently undertakes postgraduate and continuing professional development courses, including cranial osteopathy. She also practices western medical acupuncture (dry needling). 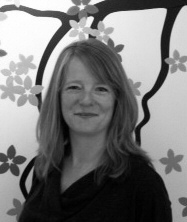 Elizabeth is the Principal Osteopath and Practice Owner. Camilla is a fully qualified Osteopath, with a Masters in Osteopathy, an Honours degree in Biomedical Science, Postgraduate Certificate in Paediatric Osteopathy and postgraduate training in Cranial Osteopathy. Camilla is also fully qualified in Pregnancy and Sports Massage. With over 10 years of study, she has a thorough understanding of how the human body works and uses a combination of both structural and cranial techniques, together with massage, to address restrictions and movement throughout the whole body in order to help restore function, improve posture, relieve muscular aches and pains, reduce general body tension and promote recovery after injury. Every session is tailored to each patient, and encompasses both hands on treatment as well as advice on life style activities and exercises. Camilla’s ultimate goal with treatment is to help patients help themselves, and equip them with the tools to manage their health, be it short term injuries or more long term recurrent issues. In addition, Camilla has a special interest in treating babies and children, having worked at the Osteopathic Centre for Children for over two years, where she gained extensive experience in treating infants, pregnant women and new mothers. Chiara gained her Masters of Osteopathy at the British School of Osteopathy. Since graduating she has completed a post-graduate course in osteopathy for women’s health at the Molinari Institute of Health and attended further post-graduate training at the Sutherland Cranial College. Chiara is currently in her final year of study at the Osteopathic Centre for Children (OCC) studying for her Diploma in Paediatric Osteopathy. Chiara enjoys getting to know and understand each individual to find a suitable approach that will help each different patient restore a healthy balance in the body and regain the ability to function in their day-to-day life. She is particularly interested in working with women to help them manage complaints associated with the hormonal cycle and changes during pregnancy and ageing. She initially developed an interest in the functioning of the human body and its injuries during her previous career as a contemporary dancer. She continues to be fascinated by the body functioning and its ability to adapt and self-heal and how osteopathy can facilitate these processes. Chiara is a fully registered Osteopath with a Masters degree in Osteopathy gained from the University College of Osteopathy (formerly BSO). Using osteopathic evaluation methods and a variety of hands-on techniques, Chiara works with you to find a suitable approach to help each different complaint. She provides advice and exercises where appropriate to aid recovery and return function. Chiara has a particular interest in women’s health. In her final year of studies she has taken extra clinical hours in treating pregnant mums. She always wants to improve herself and will do post-graduate course in osteopathy for women’s health at the Molinari Institute of Health. In her free time she enjoys outdoors activities and hiking and she likes to try yoga. Chiara is also a fully qualified sports massage therapist. Kerry will return from Maternity leave on January 24th. Kerry Anderson graduated from the British School of Osteopathy with a Masters degree in Osteopathy. Since graduation she has completed further studies specialising in paediatric osteopathy at the Osteopathic Centre for Children where she continues to volunteer. Kerry has extensive experience treating newborns to teenagers and worked in neonatal intensive care wards treating premature babies. She also has experience treating expectant and post-partum mothers and she believes it is important to treat both mother and baby during pregnancy and beyond. Kerry’s interest in osteopathy began as a teenager after a shoulder injury affected her training when she was swimming at national level in New Zealand. And from her own experience of being treated at this age led Kerry to re-train as an osteopath and specialise in paediatrics. While her philosophy is not treating ‘conditions’ and she uses a combination of structural and cranial osteopathic techniques suitable for the individual on a case-by-case basis based on their presenting symptoms.